The M-Power Precision Analytical balances were developed especially for ambitious first-time users in the laboratory and academic sector. 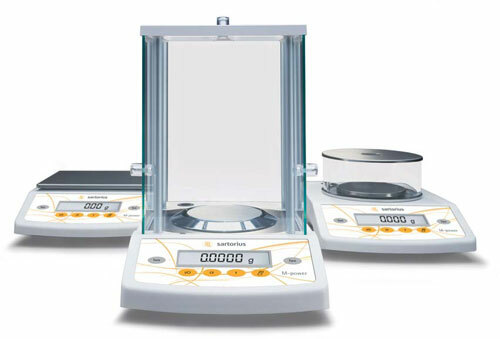 The range of models stretches from compact, portable precision balances for the natural sciences, up the high resolution analytical balances with automatic calibration. Ideal for academic labs, research and industrial settings. All M-Power models are made with state-of-the-art technology to provide accuracy and outstanding performance at remarkably affordable prices. M-Power balances are distinguished by an attractive design, durable ABS housing and user-friendly operation. The M-power balance is the economical solution to your weighing needs. We’ve included all the required features for straight-forward weighing, no more, no less. Basic weighing is effortless. Use “FUNCTION” key to toggle between weigh units or applications. Large dual “TARE” keys provide quick and convenient zeroing of the balance. With the press of a single key, toggle between two weigh units. Chose from a set of 20 weighing units, including: grams, kilograms, ounces, grains, carats, pounds, or troy ounces, to name a few. 15.7” x 11.8” x 17.3" 18.5” x 11.8” x 8.7" 15.3’ x 11.8” x 8.6"
- Percent weighing. The versatile features of these balances allow measurement of a percent proportionate to a reference weight. Eliminate human errors by seeing the weight increase or decrease in percentage points instead of typical weighing units. - Net total weighing. Perfect for formulation. Place first component on the balance. Press the “FUNCTION” button and the individual weight is stored and the balance is automatically tared. Repeat with multiple components up to the capacity of the balance. When complete, the cumulative weight is displayed and can be printed. - "One-press" Calibration . Use a precision external weight to assure that every reading is accurate. Press the “CAL” button, add the calibration weight and the balance instantly completes the calibration procedure. - RS232 interface. Connect the M-power balance to a computer or printer for a permanent record of results. Press the “Print” key and the results are transferred automatically. - Built to last. These balances are constructed to withstand the rigors of diverse environments from educational to industrial use with built-in overload protection to guard against damage due to misuse. - Parts counting. M-power balances are ideal for inventory and process control. Simply place the reference quantity (10, 20, 50 or 100 pieces) on the pan and the balance will do the rest. Add or subtract pieces for an accurate piece count.